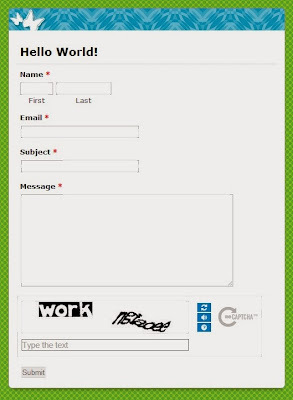 How to add a "Contact Me" form in blogger. 1. Go to Email me form and create an account. 3. Click on add form. 8. Select additional fields in advanced that you wish to add to your form. 9. Once you have added all the fields you want on your form click on save form . 10. Click on take me to form manager. 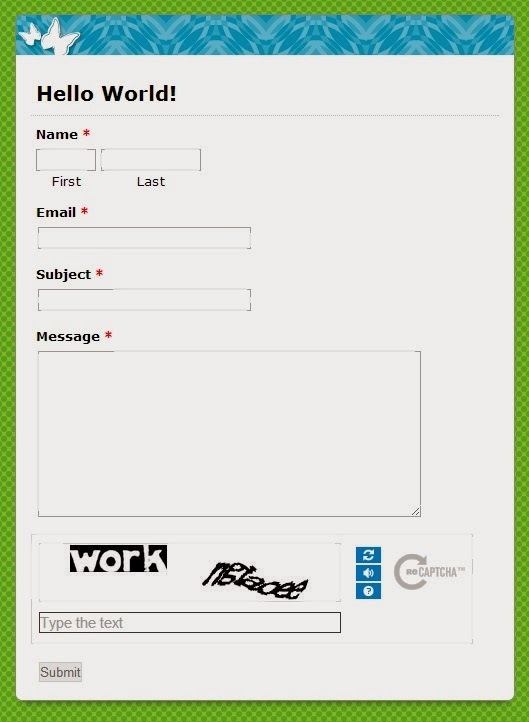 11.Click on code and copy the html code generated for your form. 13. In left hand corner click on pages. 15. Give the page a page title "Contact Me"
16.Click on html in your post and add the code generated in Step 11 and paste it here. 18. You can add any other text to the page you wish. Save and publish.